Anambra State has continued to show its leading position in the field of education in Nigeria with the latest information revealing that students of the State posted excellent performances in the just-concluded 2015 All Nigeria Confederation of Principals of Secondary Schools (ANCOPSS) Quiz competition organized for Nigerian students. The State represented by Master Umeh Anthony Nnaemeka of Igwebuike Grammar School Awka came tops in this year’s ANCOPSS Quiz Competition organized for all schools in Nigeria as a way of enhancing academic performance of students. By the excellent performance of Master Umeh, Anambra State retains the cup for keeps, being the 3rd consecutive time students from the State are winning the cup. ANCOPSS organizes the Quiz and Essay competitions yearly for competition by all schools in the nation as a way of enhancing academic performance of students. Amira Kodcia Ayeb, a 21-year-old Tunisian native living in Los Angeles, California was arrested late Wednesday after multi-talented American recording artist, dancer, and actor Chris Brown and his crew found her naked on his bed at his rented California mansion. Brown came home two days later after his birthday celebration in Las Vegas, to find Ayeb naked on his bed. He immediately alerted the Lost Hills Sheriff Department and Ayeb was taken into custody shortly after. The singer posted a photo of Ayeb on Instagram to vent about the ordeal. “I get home and find this crazy individual in my house,” Brown wrote on Instagram. “She had broken the hinges off the doors. She found time to cook her several meAls (sic). She Wrote (sic) ‘I love you’ on the walls,” Brown said. DELE MOMODU OF OVATION JOINS BEN TV. Fellow Nigerians, let’s leave politics alone today and discuss personal issues. I’m very happy to tell you some positive development in my life. I was brought up by parents who taught me that atelowo eni kii tan nii je (all you can be sure of is the reward from your personal hard work). I’ve since imbibed that dictum like a sacrament. And it has never failed me. I’m aware that many Nigerians believe that politics can be taken as a full time vocation but I’m of the view that it shouldn’t be so. Our country would be far better when leaders learn how to manage people and resources in their private capacity before attaining power. The essence of this sermon is that we should not expect much from those who gate-crashed into government without ever micro-managing their own lives. The most difficult task in a man’s life is how to grow a business from nothing to something especially in a particularly difficult terrain of Africa. Many young ones have asked me questions about how they can make it in life but I’m not able to answer them one on one. It is my intention to paint my personal portrait today while hoping they can draw their own conclusions. It is not for nothing that it was said that Rome was not built in one day. Rome was seen and accepted as an epitome of majestic grandeur. But whatever is seen in that famous city was conjectured and actualised through the incredible vision of its architects and the tenacity of its energetic builders. There is thus no alternative to working assiduously for greatness. Four Nigerians have won seats in the British parliament to represent their constituencies. Chuka Harrison Umunna, Helen Grant, Chi Onwurah and Kate Osamor won the seats in the general elections. Umunna is a member of the British Labour Party and has been a member of Parliament (MP) since 2010. He is from Nigerian Igbo ethnic group and the current Shadow Business Secretary since 2011. Another Nigerian, Grant, a lawyer, born on September 1961, won her seat under the British Conservative Party. She is the current Member of Parliament for Maidstone and The Weald in Kent and the current Minister for Sport, Tourism & Equalities. She was elected at the 2010 general election, replacing the constituency’s previous incumbent, Ann Widdecombe, who had decided to step down as an MP. Grant was the first black woman to be selected to defend a Tory seat and her election made her the Conservatives’ first female black MP. As the military deploys its special force units to track the fleeing lead¬er of the Boko Haram sect, Abuba¬kar Shekau, there are strong indi¬cations that the terror kingpin may have fled Nigeria through the help of Islamic State (ISIS) groups operating in East and North Africa. Saturday Sun gathered that with the recent loss of his group’s caliphate headquarters, Gwoza to the Nigerian troops and the invasion of Sambisa forest by a detachment of the na¬tion’s special force units deployed from their base in Makurdi, Benue State, the Boko Haram leader saw his capture as imminent. According to dependable military intelli¬gence sources, Shekau had to send emissaries to ISIS affiliates with strongholds in East and North Africa to pave the way for his escape to their region from where he intends to coordi¬nate his group’s activities or ultimately relocate to ISIS headquarters in the Middle East. 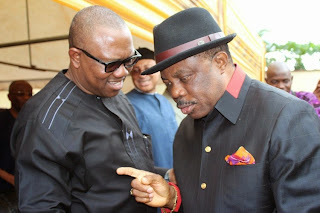 The political tug of war going on between former governor Peter Obi and his successor, Chief Willie Obiano, the governor of Anambra State has continued to astound many observers. Coming against the backdrop of the former governor’s assurances of non-interference when he handed over power in March last year, the raging face-off between the two brothers remains a curiosity to people who had hoped that finally, Anambra had shrugged off the usual ego clashes between her leading citizens. That this needless ego clash has continued to fester against wise counsels and endless interventions by their mutual friends speaks to the deeper psychological inadequacies that characterize the lives of public servants in Nigeria. In this case though, Mr. Obi seems to be the guilty party. After wrestling power from the strong men whose sole purpose of seeking political power was for personal enrichment and setting a record as the first governor to successfully hand over power to his anointed candidate, expectations were understandably high on Peter Obi. Many people had hoped that Obi would ascend to a higher grace; that he knew too well the cost of war to offer his successor peace. Many people had wished that Obi’s unassuming nature and loud simplicity would dictate his attitude to life after service. Alas, they were all wrong. It soon became clear that Obi was only willing to relinquish the office but not the power. The former governor has continued to act as though he is the alternate governor of Anambra State; stage-managing public functions for himself across the state where he is either flagging off a project or commissioning a new one with fanfare and robust media coverage. Obi’s recent visit to St Augustine’s Primary and Secondary School, Nkpor is one instance that stands out as not only unwise but needlessly provocative. 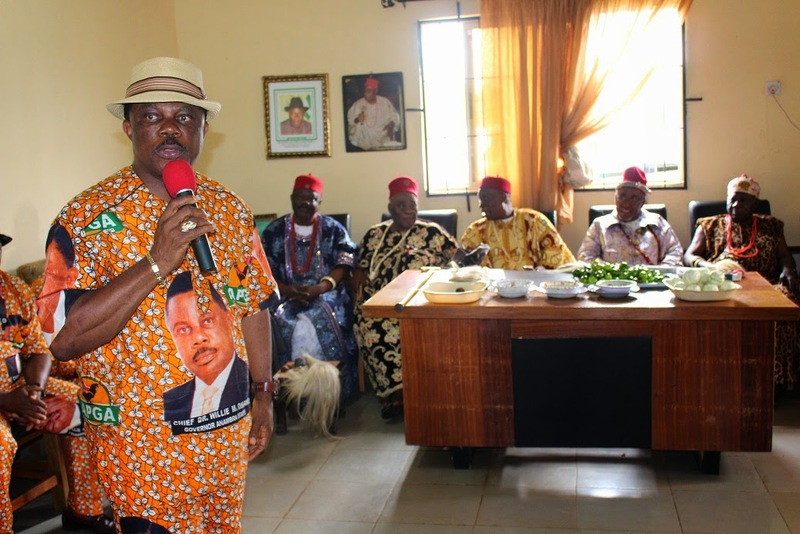 Governor Willie Obiano of Anambra State has expressed his deep condolences on the death of Comrade Ifeoma Anumba, a journalist with the Federal Ministry of Information, Awka, to her family and the Nigeria Union of Journalists, Anambra State chapter. Lagos State government has disclosed that of 801 commercial drivers screened for hard drugs through urinary test, 442 representing, 55 per cent, tested positive. Commissioner for Health, Dr. Jide Idris, made the disclosure at a ministerial press briefing at Alausa, Ikeja, on the activities of his ministry in the last one year. According to Idris, the state Ministry of Health has been engaging its transportation counterpart in securing health and safety of commercial drivers and conductors. He said this was to reduce the prevalence of road traffic accidents and ensure the safety of residents. He said the drivers were also at different times, screened for hypertension and diabetics, among other ailments. Idris stated that the screening was carried out in some specific motor parks in the state in December last year. After several denials and orchestrated public pretences, the Oba of Lagos, Rilwan Akiolu, on Thursday confirmed to a gathering of Lagosians of different classes that Governor Babatunde Fashola and his predecessor, Bola Tinubu indeed had a bitter quarrel that almost undermined the governance of the state. This came as Fashola openly apologised to all Lagos residents irrespective of class, ethnicity or religion, whom he said, might have been affected by different decisions he had taken in office. The duo spoke at the Lagos TV complex, Agidingbi while marking Fashola’s 2,900th day in office, which was attended by former governors, former deputy governors, serving and former commissioners and traditional rulers among others. Akiolu, who spoke in Yoruba language, said he did not realise the weight of the disagreement between the two (Fashola and Tinubu) until almost all the Obas in the state called his attention to the development. The Lagos monarch said the concerned Obas had told him that if as a successful retired police officer with 32 years in service he could not hold down on Lagos as the Oba, then, there should be cause for concern. Former African Footballer of Year, Togolese footballer Emmanuel Adebayor has been having a running battle with his family for years. His sister has gone to the media a few times to claim he doesn't take of them and has turned his back on them, plus other accusations. She even claimed that Emmanuel kicked their mother out of his house in November 2014. A couple years ago, I bought a house in East Lagon (Ghana) for $1.2 million. I found it normal to let my older sister, Yabo Adebayor stay in that house. I also allowed my half brother (Daniel) to stay in the same house. A few months later, I was on vacation and decided to go to that house. At my surprise, I saw many cars in the driveway. In fact, my sister decided to rent out the house without me knowing. She also kicked Daniel out of that house. Note that the house had about 15 rooms. When I called her and asked for explanation, she took about 30 minutes to abuse and insult me over the phone. I called my mother to explain the situation and she did the same as my sister. This same sister says I am ungrateful. Ask her about the car she is driving or anything she is selling today? Governor Willie Obiano has continued to surprise his critics and admirers in a manner that leaves no one in doubt that the hand of God is truly upon him. And this is why. Apart from his seemingly mazy run through all the nebulous litigations that sought to snuff life out of his regime even before it could fully take off, the former banker has continued to win the approval and endorsement of well-known hardliners in Anambra State. It was to his credit, for instance, that the phenomenal new generation novelist who was recently listed as one of the 100 most influential people in the world by Time magazine, Chimamanda Adichie accepted to deliver the lecture that marked his first 100 Days in office. In the truest tradition of iconoclasts and gifted artists, Adichie has an aversion towards the establishment. She is reputed to have turned down so many efforts by different state governments and the Federal Government to woo her to their side in the past. In fact, it is rumoured that an attempt by the incoming administration in this regard also hit the brick-wall. But Adichie did not just accept to speak at Obiano’s 100 Days in office but did so with an enthusiasm that turned to a magnetic enchantment that held her audience in a spell. 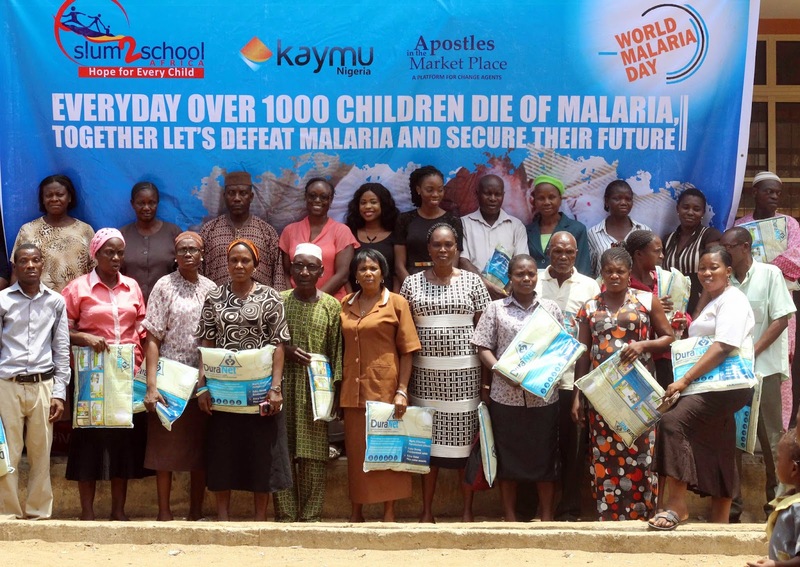 In commemoration of the World Malaria Day, leading online shopping community Kaymu has partnered with NGO, Slum To School, to combat the scourge of malaria in Nigeria through its “Net a child’’ campaign. The team visited Makoko and Epe Communities in Lagos to distribute treated mosquito nets and sensitized the communities on the prevention and treatment of the infectious disease caused by the parasite of genius Plasmodium. In a statement released by the Company, Managing Director of Kaymu Nigeria, Evangeline Wiles said, ’’Malaria has a devastating socio-economic impact in the country and all efforts must be intensified by the government and corporate organizations to eradicate the disease. Delta Air Lines and New York-based designer Zac Posen are partnering to bring high fashion and function to a different kind of runway as part of Delta’s new uniform program. Delta is creating a program for nearly all of its uniformed employees. Through the partnership, Zac Posen will design a uniform collection for Delta’s flight attendants and airport customer service agents while advising on the uniform project for Delta’s ramp and ground support agents, Delta Cargo agents and Delta TechOps employees. The Catholic Bishop of Awka Diocese, His Lordship Most Rev. Paulinus Ezeokafor has congratulated the newly consecrated auxiliary bishop of archdiocese of Onitsha ecclesiastical province, Most Rev. Denis Isizoh who was consecrated by Francis Cardinal Arinze as auxiliary bishop of Catholic Archdiocese of Onitsha on Friday, May 1, 2015. Bishop Ezeokafor who gave his congratulatory message at the Basilica of the Most Holy Trinity, Onitsha shortly after the consecration expressed gratitude to God for the gift of Bishop Isizoh noting that with Bishop Isizoh's wealth of experience and laudable achievements in pastoral works the Archdiocese can only get better. The reasons for the lingering crisis between President Goodluck Jonathan and his aides against the National Working Committee of the Peoples Democratic Party, is gradually beginning to unravel. Lately, some PDP governors and chieftains have repeatedly called for the resignation of party Chairman, Adamu Mu’azu and other members of the NWC over the party’s poor election performance. However, the acrimony is said to be beyond that, with sources of Vanguard newspapers, revealing that it is mostly about the control of the party ahead of the 2019 presidential election. Governors of the All Progressives Congress are meeting with the President-elect Muhammadu Buhari in Abuja on Tuesday. The meeting, it was gathered, would be the first to be attended by the governors jointly since the conduct of the March 28 presidential election which Buhari won. One of the governors, who spoke on the condition of anonymity with our correspondent in Abuja on Sunday, said the meeting would also be attended by all the APC governors-elect. He said, “The APC governors, serving and incoming, are to meet GMB (Buhari) on Tuesday morning in Abuja to pay a courtesy call on him, formally congratulate him on his electoral victory and make input into the policy direction of the administration ahead of the May 29 inauguration of the new government. A 15-member faction of the Enugu State House of Assembly led by the Speaker, Mr Eugene Odo, has commenced the impeachment process against Gov. Sullivan Chime, alleging financial misconduct. They directed the Clerk, Mr Christopher Chukwurah, to communicate their resolution to the governor. The faction entered the premises through the small gate as they parked their vehicles by the roadside. Meanwhile, the eight-man faction which elected a new speaker, Mr Chinedu Nwamba (PDP-Nsukka East) and a new leader, Mr Donatus Uzogbado (PDP-Oji-River), suspended Odo and seven others. 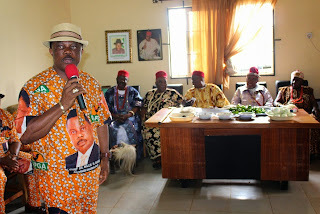 Those suspended include Chief John Anichukwu (PP-Nkanu East); the Chief Whip, Mrs Theresa Egbo (PDP-Enugu South Rural); the Leader, Mr Sunday Ude-Okoye (PDP-Awgu North); and Mr Okey Nwoke (PDP-Igboetiti West). Indications emerged Sunday that the former Vice President, Alhaji Atiku Abubakar is leading the demand for the post of Senate Presidency for the North East. But the All Progressives Congress (APC) National Vice Chairman, North East, Engr. David Lawal said the demand is being made by everybody from the zone. According to Lawal, the demand of the Senate Presidency to the North East is the wish of every member of the party. Atiku, who last week visited the President-elect at the Defence House had told journalists after a closed door meeting with Buhari that the meeting was personal. But the source, who preferred anonymity posited that every visit to the President-elect comes with a demand and Atiku’s demand among others was that the Senate Presidency should be zoned to the North East. A Legal Practitioner and observer during the 2015 elections, Ikechukwu Ikeji, says the just concluded election was one of the most rigged elections he had ever witnessed in Nigeria, despite being considered free and fair. Speaking on a breakfast show, Sunrise Daily on Channels Television on Monday, Mr Ikeji accused INEC officials of being compromised, stressing further that the politicians themselves were out to rig and those who won simply outwitted those who lost. 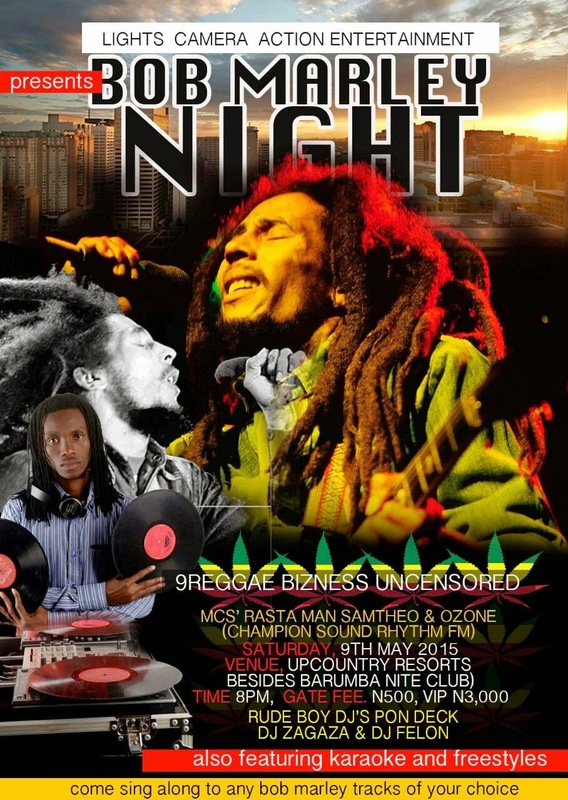 “Just about every politicians I came across was in the game of rigging. Nothing can be farther from the truth than that these elections were fair and free. “In fact I have to be honest, this is one of the most rigged elections I have witnessed. I was in the field and I can tell you that electoral offences were rampant,” Mr Ikeji said. On card readers, the election observer expressed dissatisfaction. He said that the card readers did not work in many areas he went to. The National Publicity Secretary of the Peoples Democratic Party (PDP), has said that President Goodluck Jonathan must account for how he spent Nigeria’s resources for the past 6 years he ruled Nigeria. This is coming as an online news platform SaharaReporters portered that some Goodluck Jonathan’s associates have released up documentary evidence that members of the National Working Committee of the People’s Democratic Party (PDP) stole funds belonging to the party’s treasury shortly after President Jonathan lost the presidential election on March 28, 2015. The two sources disclosed that President Jonathan felt betrayed by the “greedy actions” of the NWC members. The Presidency sources gave SaharaReporters internal vouchers showing that the party’s NWC members shelled out over a quarter of billion naira in unexplained fees to themselves on April 8, 2015. The All Progressives Congress (APC) has said there is no dispute whatsoever regarding its electoral victory in most parts of the northern states during the March 28 presidential poll. The party’s Deputy National Chairman (North), Senator Lawan Shuaib, said the introduction of the card reader device which was effectively deployed during the election in every part of the North did a lot to strengthen the credibility of the polls. Shuaib, who spoke in an interview with THISDAY in Abuja yesterday, in reaction to the comment made by President Goodluck Jonathan regarding the credibility of the presidential poll result in the North, said the voting process was transparent, insisting that Muhammadu Buhari’s victory cannot be faulted. “Elections in most parts of the North were free and fair because there was hardly any area where the Independent National Electoral Commission (INEC’s) card reader machine was not used. We can challenge anybody to go to court and let’s clear and verify every vote cast in the northern part of the country during the last elections. 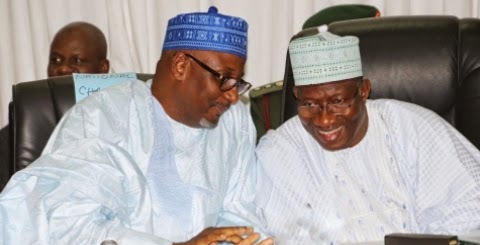 Despite threats of sanctions by the National Working Committee (NWC) of the Peoples Democratic Party (PDP), the leadership crisis in the party continues to deepen, as aides of President Goodluck Jonathan have moved to replace the embattled national chairman of the party, Adamu Mu’azu, with an outgoing governor from the South-south. This is coming as the former governor of Ebonyi State, Dr. Sam Egwu, has warned against any leadership change that would remove Mu’azu or members of the NWC, cautioning that the problem of the PDP stems from lack of discipline and internal democracy, which the incumbent NWC was not allowed to enforce at both the national and state levels. THISDAY gathered that the move by the presidential aides and associates of the president is aimed at altering the zoning of offices in the PDP, which would see the national chairman of the party coming from the South-south, while the presidential candidacy will be zoned to the North, preparatory to the 2019 election. A chieftain of the All Progressives Congress and the party’s senatorial candidate for the Akwa Ibom North-West senatorial district, Chief Inibehe Okori, has said that the President-elect, Muhammadu Buhari, will shock critics with his pronouncements on May 29. Speaking in Uyo, the Akwa Ibom State capital, on Sunday, Okori stated that Buhari would prove to Nigerians and the international community that corruption would be checked as soon as the president-elect settled down to work. He added that Buhari’s proclamation, dedication and discipline will go a long way in restoring hope, faith and confidence of the citizens in the country. He said, “Unlike other presidents who were not prepared for leadership but foisted on the country by individuals and interest groups, the President-elect has consistently presented himself to the electorate to lead the country on four occasions and had his visions well enunciated. A man who specialises in supplying fuel and food to terrorists was yesterday morning nabbed in Daban Shata in the suburbs of Baga, Borno state. The military intelligence has been trailing him till he was eventually trapped in the early hours of yesterday. He is presently undergoing interrogation. In another development, troops on patrol yesterday located 260 women and children in the outskirts of Chalawa village in Adamawa state where they had been held up while trying to escape from terrorists. They have now been conveyed back to their various communities in Madagali after undergoing the normal security profiling. A comprehensive probe of the prosecution of the war against Boko Haram and the spending of defence budget is the offing, New Telegraph has learnt. A top military source said at the weekend that the incoming administration of Major General Muhammadu Buhari, was planning to institute the probe during which some service chiefs, past and present, would be summon to defend their tenure, especially how defence budget was spent under their watch. The source said the incoming administration was considering setting up a truth and reconciliation committee on the six-year old terror war. The Boko Haram insurgency, which started in 2009 in Maiduguri, the Borno State capital, has claimed about 15, 000 lives, destroyed property and turned thousands of people to refugees. It was also gathered that some former service chiefs and military commanders that held strategic operational and command positions, might appear or be asked to appear before the panel, whenever it is constituted, to give account of what they did and knew about the fight against insurgency. A man who specialises in supplying fuel and food to terrorists was this morning nabbed in Daban Shata in the suburbs of Baga Borno State. The military intelligence had been trailing him till he was eventually trapped in the early hours of Sunday. He is presently undergoing interrogation. Some of them disclosed that they had to abandon their homes to escape from the terrorists when Madagali came under their attack, while others were actually abducted and taken there. The terrorists were however sacked from the Madagali recently. Two close associates of the president spoke to SaharaReporters on what one of them described as "shameless stealing of party funds by officials entrusted with running the affairs of the party." The two sources disclosed that President Jonathan felt betrayed by the "greedy actions" of the NWC members. The Presidency sources gave SaharaReporters internal vouchers showing that the party's NWC members shelled out over a quarter of billion naira in unexplained fees to themselves on April 8, 2015. According to the communiqué, the resignation was to pave way for the dissolution of the National Working Committee as a fall out of the 2015 general elections. However, a very careful examination of the inherent breaches in the procedures adopted in the convening of the meeting as well as the content and tone of its resolution shows an orchestration by a few individuals bent on sowing a seed of discord within the PDP fold in the zone. This is evident in the fact that the said communiqué in no way reflected the views of majority of those who attended the meeting, neither did it tally with the opinion of the generality of our party members in the region. The curtains at Aso Rock Villa, Nigeria’s seat of power, will be closed against incumbent president, Goodluck Jonathan on May 29. The mega opposition party, the All Progressives Congress (APC) will thereby emerge as the new ruling party with the president-elect, Muhammadu Buhari, taking over the reins of governance. But it will not be a tea party because of over a dozen challenges ahead of him. On the night of April 14, 2014, about 276 female students were kidnapped from the Government Secondary School, Chibok in Borno State. The dreaded terrorist sect, Boko Haram, later released a video on May 5, 2014 claiming responsibility for the abduction which drew national and international condemnations. There was a measure of confusion that trailed news of the abduction. The United States seems to have again shunned Nigeria as it said it would provide $35 million in military and defence support services to France as part of America’s investment in the war against Islamist terrorist group, Boko Haram. The countries that are fighting the Boko Haram and which are Nigeria's neighbour---Chad, Niger and Cameroon--are French speaking countries and have close relations with France. Cameroon was, however, not part of the deal. The American support, contained in a press statement issued by the White House, is to provide assistance to France which has been actively supporting Nigeria's French speaking neighbours as well as Mali, which is battling Islamist extremism. The heat of leadership is already being felt by the President-elect, General Muhammadu Buhari as pressure mounts over ministerial nominations from party leaders and state governors from across the 36 states of the federation. Prior to his election, Buhari had vowed to prune the cabinet, insisting that 42 man cabinet as operated by the Goodluck Jonathan administration is not to the best interest of the nation. Buhari also said his cabinet will not be for patronage, as only people of integrity and with professional backgrounds will be considered. But barely a month to the inauguration of the All Progressives Congress, APC, government on May 29, Buhari is now being inundated with pressure by notable political leaders, who aided his victory and are now hoping to reap where they sown. The party had requested three nominees per each state for Buhari to make final choice but it appears that the request is being spurned by some of the leaders who are insisting on hand picking their nominees. Among these leaders, Sunday Mirror learnt include the APC national leader, Asiwaju Bola Ahmed Tinubu; former President, Olusegun Obasanjo, some oil moguls and APC state governors, among others. The purse for the fight is set at $300million (£194,502,705), which will be split 60/40 in the American's favour. Assuming the fight lasts the full 12 rounds, Mayweather will be earning $4,994,681 per minute of action, with Pacquiao earning $3,329,787 per minute. That means that by the end of the first round, Mayweather will have earned $14,984,043 and Pacquiao will have earned $9,989,362. In total, Mayweather will collect $179,808,511 (£116,554,424) while Pacquiao will get $119,872,340 (£77,702,949). The Vice president-elect of the Federal Republic of Nigeria, Professor Yemi Osinbajo, has attributed t the March 28 presidential poll victory to the fulfillment of the prophecy earlier given by the General Overseer of the Redeemed Christian Church of God (RCCG), Pastor E.A.Adeboye,that pastors, presidents and vice presidents shall emerge from among members of the church. Professor Osinbajo disclosed this on Friday night at the May National Holy Ghost Service of RCCG at the Redemption Camp at Kilometre 46, Lagos - Ibadan Expressway, Ogun State. While it was his turn to testify about God's goodness, the Professor of Law, who is also the pastor-in-charge of Lagos Province 48, said: "My name is Yemi Osinbajo and I'm here to testify to God's goodness. For the past four months, we have been campaigning all around the country by sea, air, road and God has kept us and by March 28, He gave us victory at the poll." Amid cheers from the mammoth gathering at the Arena Ground of the camp, the president-elect under the All Progressives Congress (APC) revealed that: "God marked me out for the position of the vice president of the Federal Republic of Nigeria."